The east Antrim branch of the University of the Third Age (U3A) is seeking to recruit new members. U3A is a self-help organisation for people no longer in full-time employment, providing educational, creative and leisure opportunities in a friendly environment. The group has no formal approach to learning, instead seeking to approach it in a fun way. East Antrim U3A is one of the most recently formed branches in Northern Ireland, with a catchment area covering Larne and Carrickfergus through to Newtownabbey and Ballyclare. 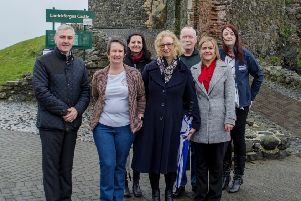 All meetings take place at the half-way point of Carrickfergus, both in Joymount Presbyterian Church Hall and Carrick Library, with a few meetings in Whitehead. There is a proposed handicraft group for Larne, while a new guitar or ukulele group is also being considered. Members have formed a broad range of interest groups, some weekly, others monthly or bimonthly. These include family history, Tai Chi, French, gardening, line dancing, singing, bridge, reading and poetry, art, computers, Italian, craft and pottery, and opera. East Antrim U3A members also have a number of walking groups. The next monthly general meeting is on Monday, September 21 at Joymount Hall from 2-4pm. Guest speaker will be Charles Robinson, also known as ‘The Roamer’, from Belfast’s Newsletter.